By Emma Sheard, Insurance Nexus. The insurance industry has always used analytics and insights as a key competitive advantage, and there have been significant advances in growing analytics capabilities in recent years. However - analytics is set to take a huge leap forward. Machine learning and artificial intelligence has the potential to completely transform an entire insurance organization, but where and how can machine learning be practically applied by insurers? And is it worth it? Insurance Nexus recently spoke with executive insurance leaders from AIG & Zurich Insurance to understand just that. 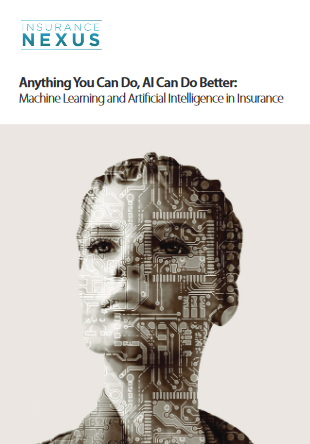 Check out the full whitepaper, "Anything You Can Do, AI Can Do Better: Insurance Applications for Machine Learning" (1.fc-bi.com/LP=12421) now! What is the desired outcome of machine learning: What does success look like? How will growing analytics capabilities impact the industry on the whole in the future? Emma Sheard is Head of Strategy at Insurance Nexus (A Division of FC Business Intelligence). She can be reached at +44 (0) 207 422 4349 or esheard@fc-bi.com. Insurance Nexus is part of FC Business Intelligence Ltd. FC Business Intelligence Ltd is a registered company in England and Wales. Registered number 04388971, 7-9 Fashion Street, London, E1 6PX, UK. Insurance Nexus is the central hub for insurance executives. Through in-depth industry analysis, targeted research, niche events and quality content, we provide the industry with a platform to network, discuss, learn and shape the future of the insurance industry.